Scientific data collection and analysis is the bedrock of learning science. 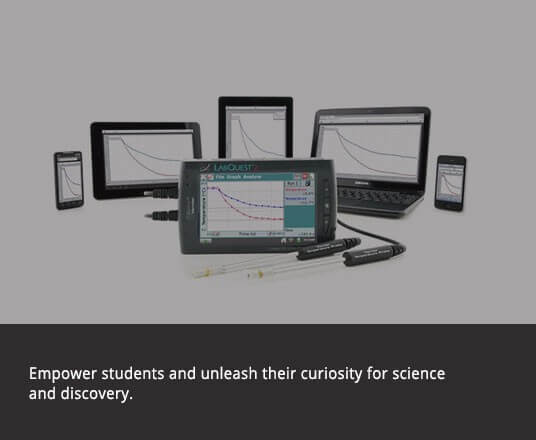 We provide the perfect sensors and lab equipment for the subjects you teach. Physics, Chemistry, Biology and Engineering. Sensors and Data loggers - Sensors and Data Loggers are versatile and easy to use for data collection. They enhance STEM curriculum by integrating technology that helps students to visualise data and build critical thinking skills. Wireless Solutions - To make data collection and scientific discoveries extremely uncomplicated, we offer low-cost wireless or USB sensors. They work seamlessly with computers, Chromebook, iOS devices, and Android devices. Everything you need to collect data is integrated into each sensor – no interface needed. Lab Equipment & Accessories - Give your lab stations a tech upgrade with our range of lab equipment and accessories. Be it digital microscopes, Centripetal Force Apparatus, Stir Station or Spectrum Tube Power Supplies we have them and more covered.